The Western Bulldogs today announced Emma Kearney as the Club’s priority player for the national women’s league team in 2017. Kearney has spent the past three seasons with the Bulldogs, after originally being recruited with pick number 10 in the 2013 AFL women’s draft. The 26-year-old has played in five exhibition games for the Club. 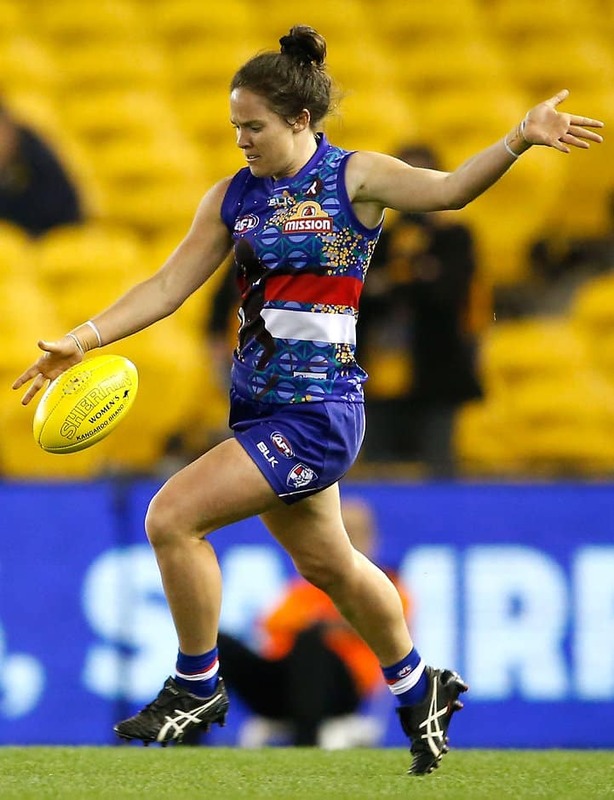 Kearney’s involvement with the Club also extends off the field, having played a key role in the launch and progress of the Western Bulldogs All Girls Auskick Centre. Bulldogs women’s coach Paul Groves said he was delighted to retain Kearney’s services for 2017. “As an inaugural member of the Club’s women’s side in 2013, we are delighted Emma is continuing with us next year. Kearney said she looked forward to continuing with the Club she’s called home for the past three years. “I am thrilled to be staying at the Bulldogs, after building a really strong foundation with the Club since 2013. The midfielder will join Katie Brennan and fellow Melbourne University teammate Ellie Blackburn on the Bulldogs list in 2017. The talented cricketer will continue to balance her commitments with the Melbourne Stars in the WBBL.